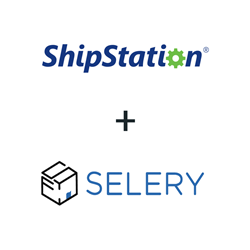 ShipStation, the leading web-based e-commerce shipping solution, today announced the addition of Selery to its Fulfillment program. Selery, which specializes in warehousing and fulfillment for e-commerce companies, is funded by Mark Cuban Companies and does fulfillment for many companies who have appeared on ABC’s The Shark Tank. “Together, Selery and ShipStation offer a powerful combination of logistics, shipping and fulfillment to help any e-commerce company grow and prosper,” said Mark Cuban. Participating in the Solution Providers Program provides Selery customers with the ShipStation features and benefits they know and love, as well as additional options. Features include a free USPS shipping account (savings of $15.99 per month for U.S.-based customers), which includes discounted USPS rates; batch printing of more than 500 shipping labels at once, wirelessly, from a large variety of thermal or desktop (inkjet or laser) printers, from a Mac, PC, or mobile device, branded shipping and packing labels, branded tracking pages and a Return Portal. Additional ShipStation features include Automation Rules and Product Defaults, saving time for customers by providing the ability to automate: the choice of shipping carriers to select the lowest cost based on geography, product type and weight, as well as the returns process, international shipping forms and more. “Combining ShipStation’s first-rate shipping software with Selery’s top-of-the-line logistics services creates an unparalleled experience for businesses who want to remove the inconveniences and costs of warehouse space, supplies and shipping,” said Justin White, Selery Co-Founder. “We’re delighted to partner with Selery,” said Robert Gilbreath, ShipStation’s Vice President of Marketing and Partnerships. “This deepens our existing relationship with Mark Cuban as well the pool of companies Mark and other Sharks have invested in; it also continues ShipStation’s mission to make every seller, wherever they sell and however they ship, exceptionally efficient." Selery is a unique one-stop-shop logistics provider for small to medium e-commerce businesses, offering personalized and convenient multi-channel order fulfillment and warehousing. Selery allows companies to focus on their business by removing the inconveniences and costs of warehouse space, supplies and shipping. Selery saves businesses time and money by integrating WMS systems and even ShipStation accounts into Selery.